Top selling pizza sauce in the home canning market. Use this mix of onion, garlic, herbs, and spices with fresh or canned tomatoes. Can sauces for later, eat tonight, or share with friends! 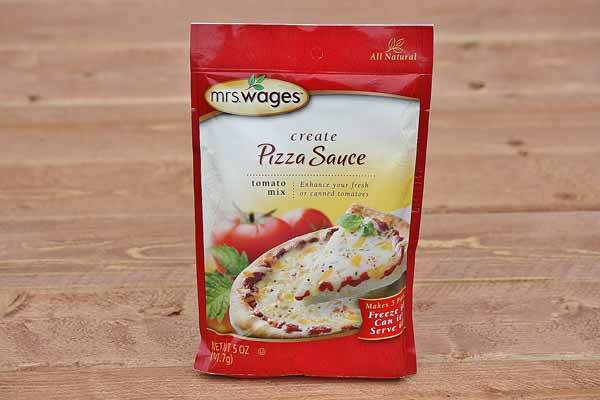 Compliments come easy with delicious pizza sauces! Makes 5 pints. Made in the USA. Ingredients: Food Starch, Salt, Maltodextrin, Onion, Spice, Paprika, Beet Powder, Citric Acid, Garlic.